Cinder, by Marissa Meyer is a book that I had seen on so many lists that came through my social media feeds for good summer reads. I finally made it to my local public library to pick up a copy and get started! Caught between duty and freedom, loyalty and betrayal, she must uncover secrets about her past in order to protect her world’s future. Cool cover, right? It totally got my attention! What a pleasant surprise Cinder was. Like I said, I saw this title on many of my book lists that come through my social media feeds, and I was always intrigued by the cover. I know…you can’t judge a book by that, but often times I do! So, after seeing it on several lists, I went to the library to check out a copy. I was very surprised to find it in the young adult section of my library. I was also surprised to find out that it was not a stand alone book. It is the first book in The Lunar Chronicles Series by Marissa Meyers. I was instantly intrigued by the main character, Cinder, a mechanic who happens to be a cyborg! In this novel, because she is a cyborg, she is considered a second-class citizen. To make matters worse, she lives with her step-mother and her 2 step-sisters. Sound familiar? Then one day, she runs in to Prince Kai and finds herself attracted to the prince she has watched from afar for so long. And I’m sure it’s no surprise that Prince Kai is a very attractive young prince who’s destined to be King. I really do recommend this book, especially if you are a fan of fairy tales with a twist! This definitely has a few twists. It was fun to see what elements Marissa Meyer took from the original Cinderella story and put in this book! It sort of reminded me of the television series Once Upon a Time. If you don’t know about this series, it is a tv show based on well-known fairy tale characters with lots of modern plot twists! I watched the first season and loved it, and now I find myself wanting to go catch up with this show again on Netflix! And don’t worry, Marissa Meyer will not leave you hanging! Just today, I went to the library and picked up Scarlet, the second novel in the Lunar Chronicles Series! I’ll let you know what I think as soon as I’m finished! After reading this novel, I went to see what Common Sense Media had to say about it. It’s a great place to read about books, movies, games, etc… It seems the people at Common Sense Media were pretty fond of this book also. They described it as Cinderella as you’ve never imagined her: as a mechanic cyborg in the future. Central to the story is a deadly disease that kills off characters very close to Cinder and Prince Kai, and there are some scenes of the dying in quarantine. War is threatened by a queen of the moon, who evilly manipulates her subjects and kills off those she can’t control. Cinder is a great tough-girl character who can fix anything and acts selflessly to help those in danger. If you’re unfamiliar with the Common Sense Media website, you should check it out. Here is how Cinder ranked on their rating scale for books, movies, and games… Not bad, right? And, it seems like it would be okay for younger people to read it too. I mean, there’s not much educational value according to them, but it sure was entertaining! You probably haven’t heard of Marissa Meyer before this book, because before Cinder, her first novel, she wrote fan fiction under the penname of Alicia Blade. She has completed over forty Sailor Moon fanfics under this penname, and her stories can still be found at fanfiction.net! Under the penname, Alicia Blade, she also wrote a novelette called The Phantom of Linkshire Manor. Marissa Meyer, author of Cinder, the first book in the Lunar Chronicle Series. She attended Pacific Lutheran University where she earned a Bachelor’s Degree in Creative Writing and Children’s Literature. Marissa later received a Master’s Degree in Publishing from Pace University. After graduating, she was an editor in Seattle before becoming a freelance proofreader and typesetter. Eventually she landed a book deal and wrote her debut novel, Cinder. The first book in the Lunar Chronicle Series that was released on January 3, 2012. She is considered a Young Adult Novelist. 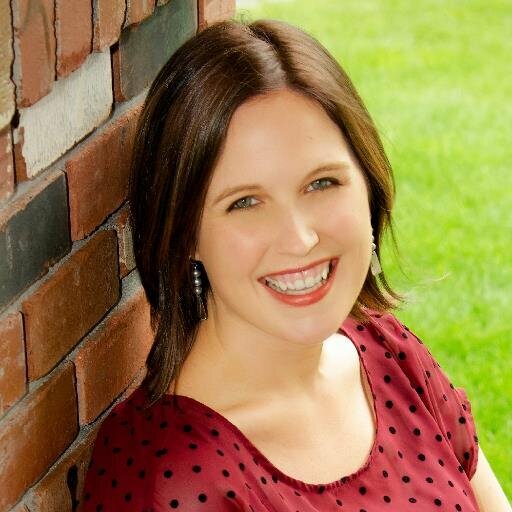 If you want to learn more about Marissa Meyer, you can find her on several social media sites. She is on Twitter, Facebook, and she has a website that you can check out at www.marissameyer.com. Her website has all kinds of information including a short biography, a list of her books, a link to her blog, a calendar of events, and several ways you can contact her. So there you have it. 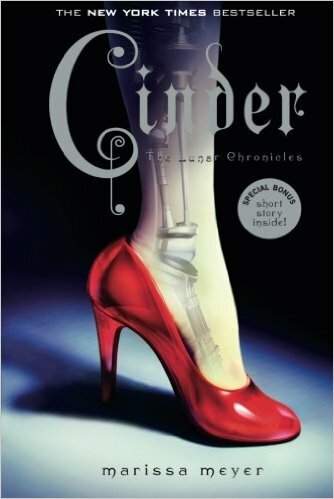 My thoughts on Cinder by Marissa Meyer! Let me know what you think once you finish reading it. And don’t worry, I’ll post about book #2 in the Lunar Chronicle Series, Scarlet, as soon as I finish it! Until next time….